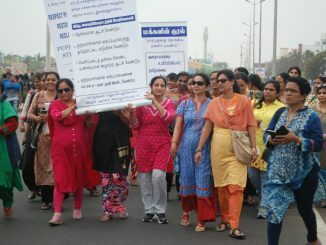 There was a lot of pomp about the Ridley run that was scheduled to take place on Sunday, February 17th, starting at Palavakkam beach. 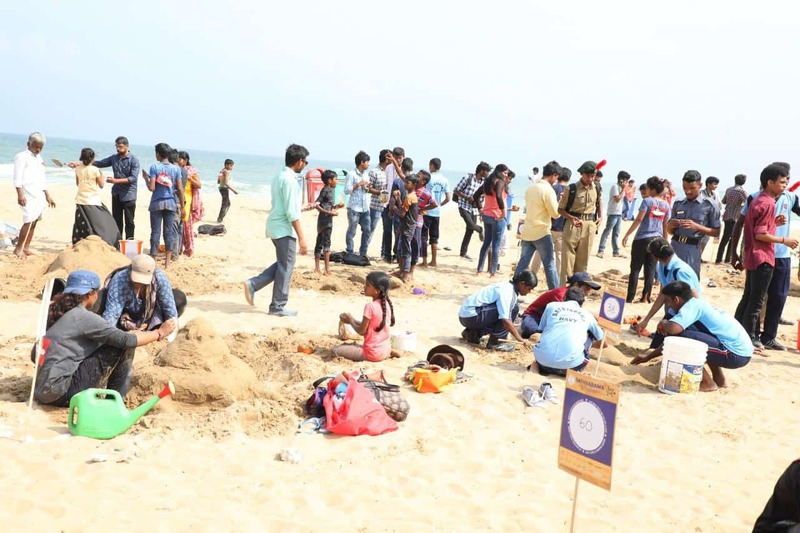 Save a Turtle group had mentioned on their website that the event aimed to create awareness about the endangered Olive ridley turtle population that come to nest along the Coromandel coast and educate local communities about the ways to protect the hatchlings. Citizens started registering for the event online, sand sculptors had given dates and things seemed to be set for the run. “The event goes against the English adage — about being in the right place at the right time. A Ridley run is not really aligned well with the purpose and timing, as it could be a disturbance for citizens and the Olive Ridley turtles that come to the shore to nest,” said Dipankar Ghose, associate and activity coordinator of Wildlife Outreach and Tourism Management Programmes, Guindy Snake Park. 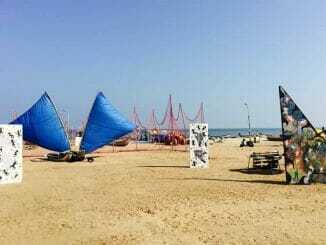 The Ridley run, which was to take place for the second time this year, included fun activities such as Zumba dance, and sand sculptures of Olive Ridley turtles on the beach. Over 3000 citizens participated in the event last year and facts about Olive Ridleys were sculpted on the sand. “Why should conservation be only a serious activity? When we include fun elements, more and more people show interest to participate. This serves our purpose of creating awareness about the Olive Ridley turtles,” said Hafiz Khan, organiser with Save a Turtle group. Hafiz Khan also said that his team cleans the beach after the event and that the run is not a disturbance to the marine animals. “We organised the sand sculpture event in the day time, when the turtles do not come out for nesting,” said Hafiz Khan. Residents however say that the loud sounds and the lights facing the sea are a hindrance to the turtles coming to the shore. “Even though the event starts at 5.15 am, organisers work from as early as 3 am. That’s the peak nesting time for the turtles,” Dipankar Ghose added. It is important to note here the Madras High Court’s directive of last year, based on a writ petition against the conduct of a festival ‘Spoken Wave.’ The court said that the organisers of the event shall not put up bright lights facing the sea, which might disturb the Olive Ridley turtles. “The organisers shall ensure that no vehicles are used on the beach. The event should be conducted, maintaining a distance of 100 metres from the beach,” the then Chief Justice Indira Banerjee had ruled. 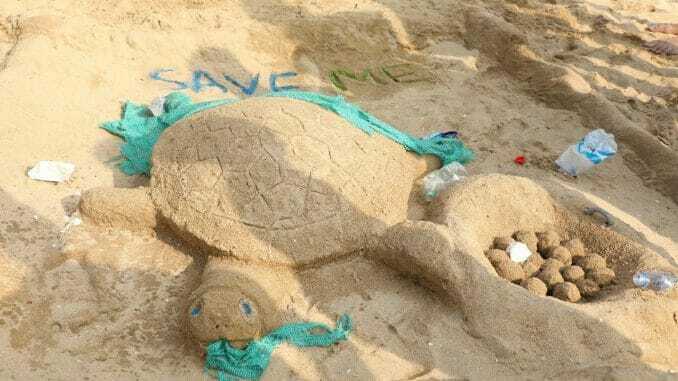 In the pre-event conducted by Save a Turtle group, turtles were sculpted on the sand, a move locals describe as ‘disturbing the nesting grounds for turtles.’ “They excavated sand from the beach using poclain machines. It is nothing short of disturbing the sand ecosystem and enhancing the erosion. It further obstructs the process of sand dune formation, which we have already lost in large measure on our coast due to real estate,” said T D Babu, a marine biologist. Pollution in the name of conservation? Citizens also say that the run that commences from University Colony Playground creates noise pollution. “It is a closed enclave where the sound gets trapped in. This is not a way to create awareness, as it is against the basic idea of conservation,” T D Babu, a marine biologist said. After the event last year, the beach was littered with plastic bottles and other refreshments. 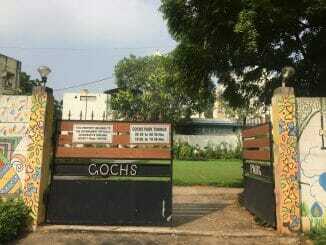 Prior to the event date this year, Chennai district collector A Shanmuga Sundaram and wildlife warden C H Padma had announced that no commercial property between Adyar estuary and Uthandi would have lights on between 11 pm and 6 am. This move has been received favourably by residents associations such as VGP Golden Seaview Residents Welfare Association, who were opposing the Ridley Run. “No event should be conducted at the cost of causing inconvenience to local residents and the environment. Citizens should always be pro-active in questioning such acts, ” Sreeja Reddy, a resident of 4th Main Road, Palavakkam, said.